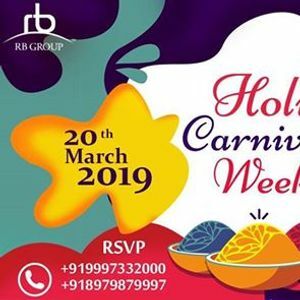 RBS Developers, Dehradun Presents "Holi Carnival Week"
The event aims at enduring the aroma of Holi with the melody of Live music. 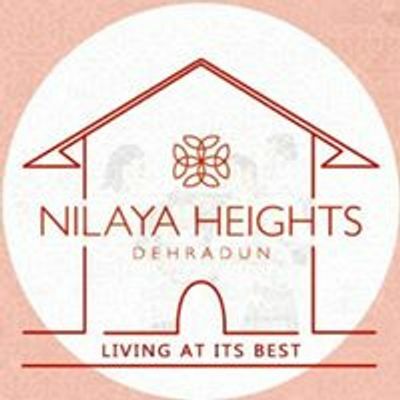 It's a High Tea event hosted by RB GROUP which is one of the most eminent builders in Dehradun. It will be a 4 day carnival i.e. 20,22,23 & 24th March 2019. 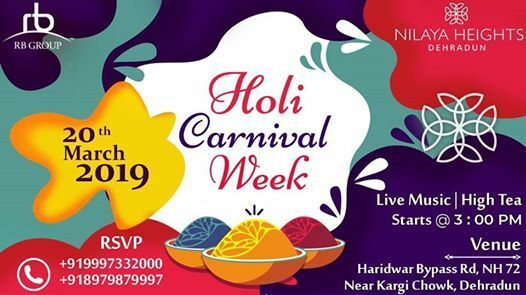 We cordially invite people from all domains and age groups to cherish this Holi eve with us and make it a memorable one.